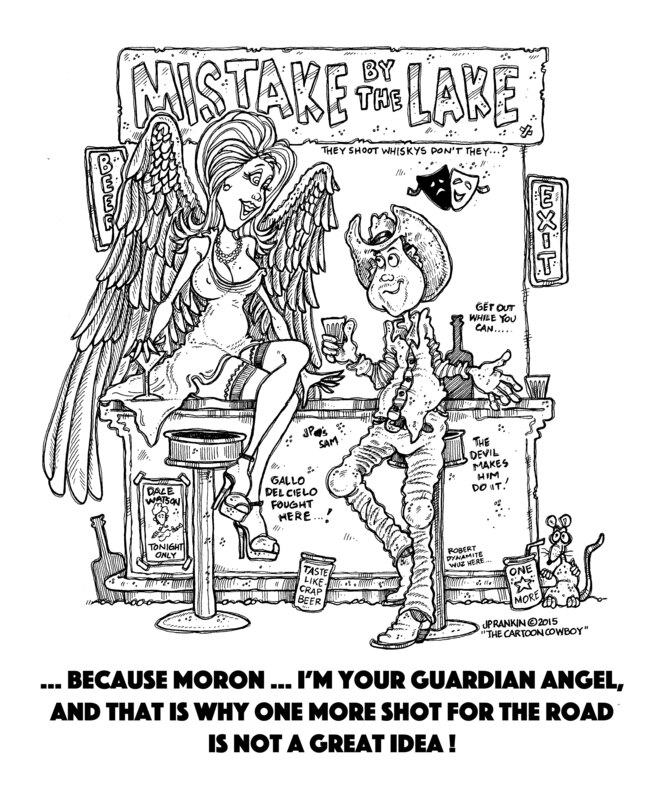 God Bless “GUARDIAN ANGELS” | JP Rankin "The CARTOON COWBOY"
I like my Guardian Angel to “party” and wear “stripper shoes”! The latest from the ink pens of The Cartoon Cowboy! You may need more than one. If they all look like that one I will damn sure want more than one!